Achtung! 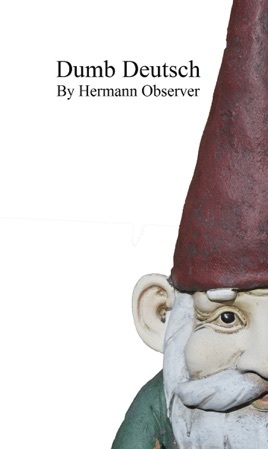 Free ebook offer for reviewers at Observing Hermann (http://observinghermann.com/). Have you ever ordered leather cheese? Have you ever told your cab driver that your hotel is located on One-Way Street? I doubt it. But English speakers trying to speak German say bizarre things like this all the time and I, for one, feel their pain. Acutely, even. They are speaking Dumb Deutsch. And they have no one else to blame but themselves. It is not that those of us who speak Dumb Deutsch actually intend to say the embarrassing and dumbfounding things we do. It doesn’t matter what we intend to do. It is inevitable. And it became inevitable the moment we decided to start speaking “that awful German language” in the first place. And please note the fine distinction here: Although very closely related, German and Dumb Deutsch are two entirely different languages. The German language is complex, treacherous and terribly difficult to learn. It has three sexes, for crying out loud. It has four or five or maybe even six cases (I forget). It is full of pitfalls, perils, strange idioms and ludicrous aphorisms. There are always one or two super-important exceptions for every iron-clad grammatical rule given. There are insanely long words and even longer sentences, compound words that get chopped up and tossed around indiscriminately and unimaginable word combinations that native German speakers seemingly construct and then discard again at will. 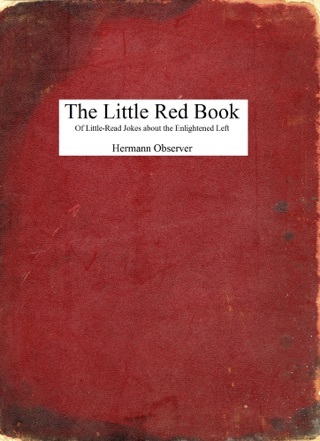 Then you have those tricky nuances and complex distinctions, the false friends, the twisted Anglicisms, the weird breathing noises and all of those quaint expressions alluding to pigs and s**t.
Dumb Deutsch, on the other hand, is relatively straightforward and can be learned in about fifteen minutes. This is because Dumb Deutsch speakers are completely unaware of all of those pesky German language complexities just listed above. And this is of course also why when it is spoken correctly, as in incorrectly, Dumb Deutsch is a never-ending source of confusion, mirth, shame, shock and horror for the German captive audience being forced to listen to it. 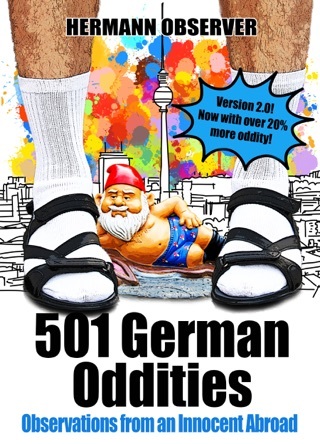 So please sit back and enjoy this short collection of bloodcurdling blunders, frightful faux pas and grisly gaffes, all in the Dumb Deutsch original. Many of these were mistakes I made all on my own. Many more have been contributed by friends and acquaintances. Numerous others were found surfing the Internet and reading about them elsewhere. For the sake of fairness, a number of ridiculous errors Germans make when trying to speak English have also been included. Bitte beachten: Diese Sammlung von peinlichen Ausrutschern und haarsträubenden Fehltritten ist selbstverständlich auch für deutsche Leser geeignet.